Join us June 7, for an evening with Chef Marilyn Pearson and her Spring Fresh Menu. 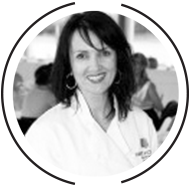 Marilyn, Executive Chef and Owner of The Garden Wedding Company and Marilyn Pearson Cuisine and Company, was schooled at the prestigious Dubrulle International Culinary and Hotel Institute of Canada and has been mentored by Vancouver’s top chefs. During her career she has catered to many high profile clients and has appeared on Breakfast Television, City TV, and other local cooking shows. The class is $60.00 per person, and will be on Monday, June 7th from 6:30pm – 8:30pm. Seats can be reserved in person or by phone, and payment is required for the reservation. Visit us at www.kitchentherapy.ca for a list of upcoming classes.